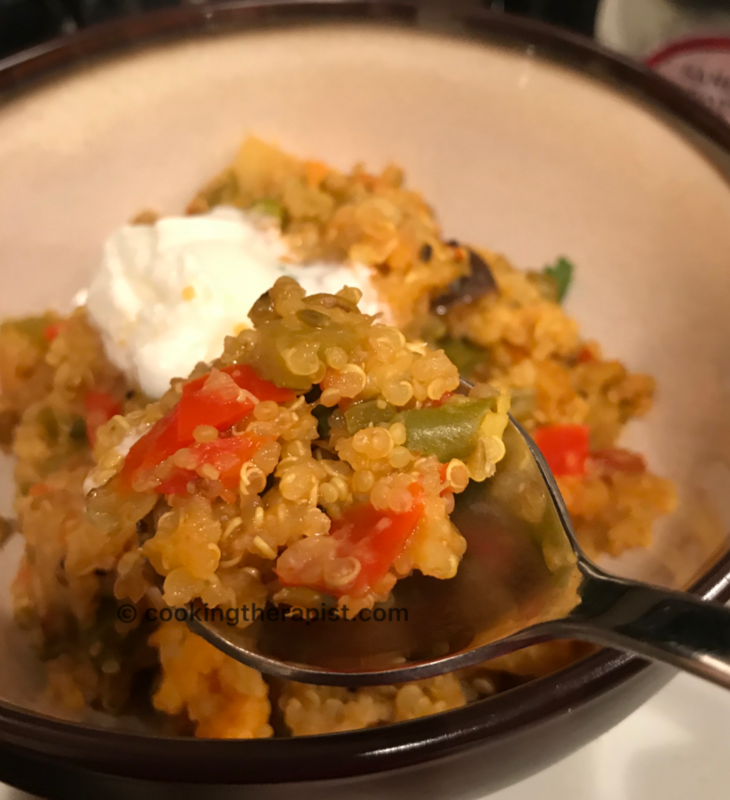 If you are looking for one pot meal which is easy to cook, nutritious and flavorful then quinoa khichadi is the best option for you. Khichadi is a comfort Indian food which is mixture of rice and lentil cooked with vegetable and flavored with spices. 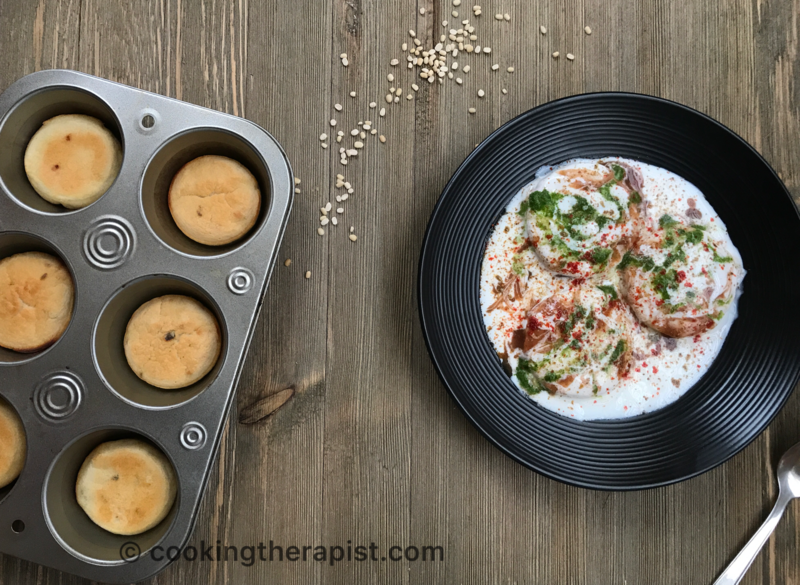 As you already know that I always try to add more health values to the traditional dishes like gorgeous green curry, baked dahi bhalla, cheerios bhel and much more. 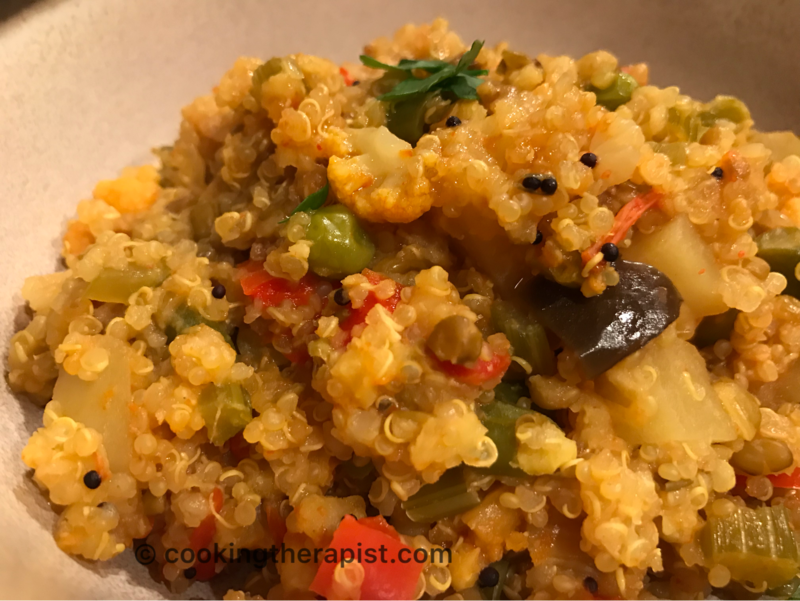 Switching white rice to quinoa will add nutrients to your regular diet which will help you to lose some weight or much more than that check here how? 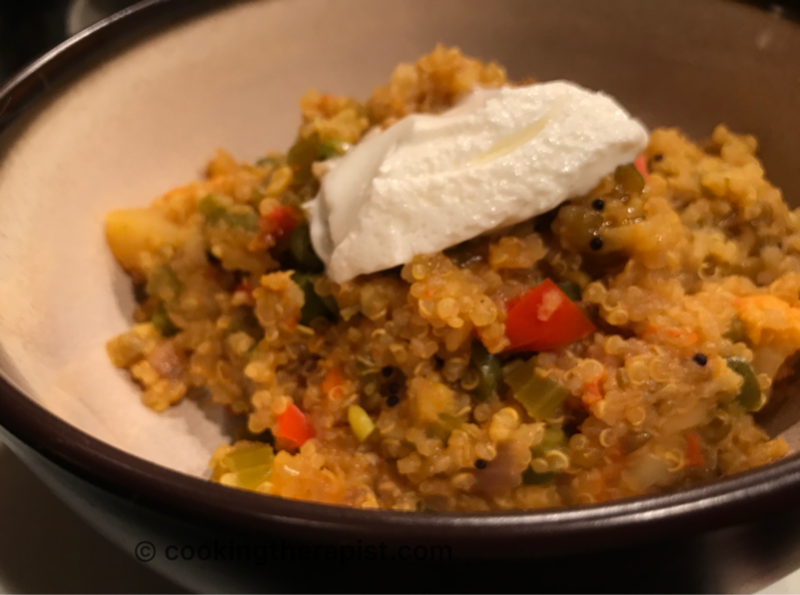 Quinoa will give crunchy and nutty taste to khichadi, you can add a tsp of butter or have a dollop of yogurt on top and digg in into super easy and quick dish. This rice substitute will make you eating less by feeling full which will enhances weight loss or weight management. 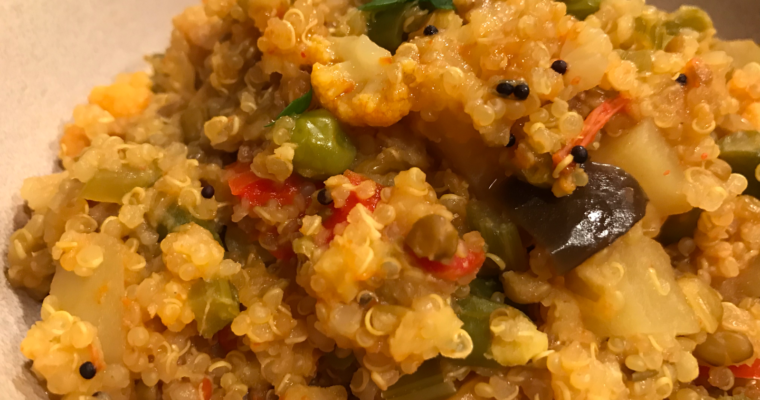 Quinoa khichadi is a mixture of quinoa and lentil cooked together with vegetables and flavored with spices. Wash and soak quinoa and skinned moong lentil (mag ni fotravali dal) for ~30 mins. 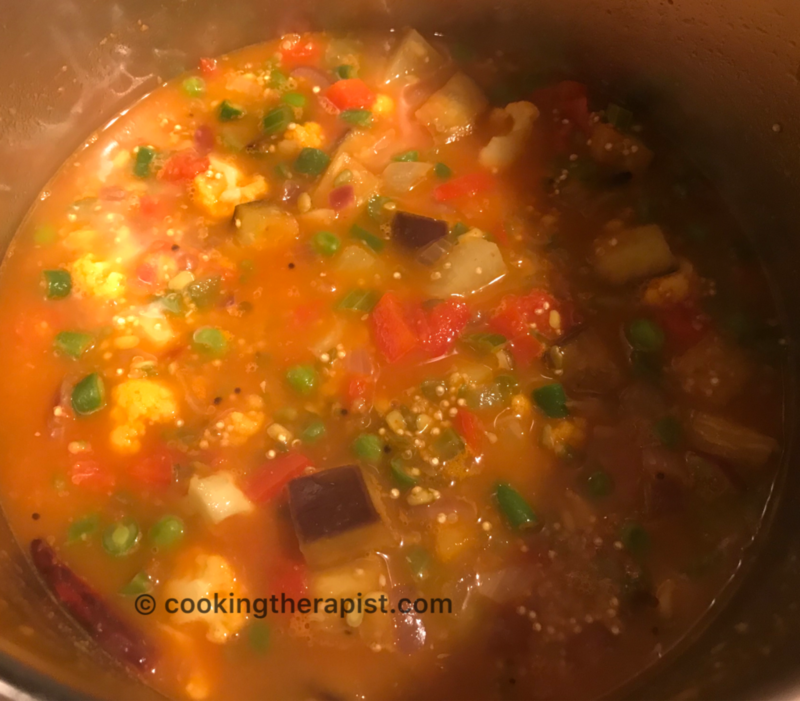 Chop celery, onion and tomato and available vegetables like cauliflower, green beans, eggplant, bell pepper, carrot, potato, green peas etc..
Heat oil in a pressure cooker and add mustard seed, whole red chili, clove and cinnamon stick and saute it. Add chopped celery, onion, salt and saute it for 2-3 mins. 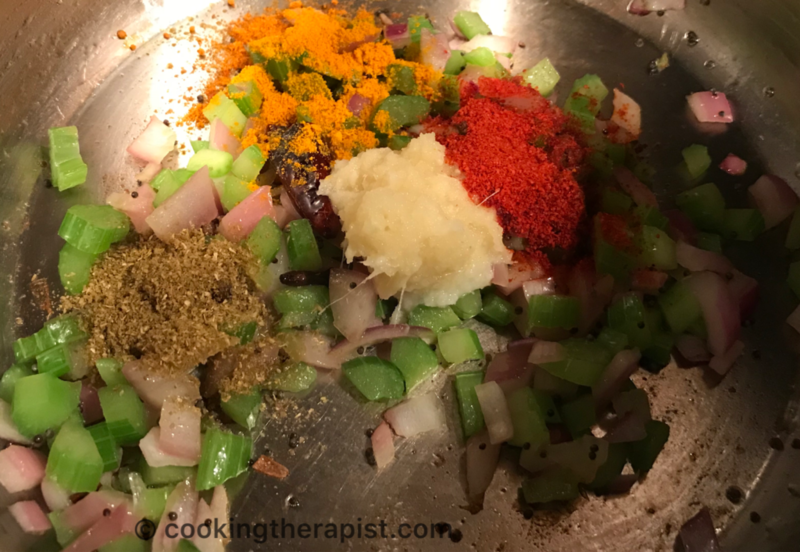 Add ginger garlic paste and spices like red chili powder, turmeric and cumin coriander powder. mix it well and saute for a min on low flame. Don't burn red chili powder or you can add it last. Now it's time to add chopped tomatoes and other vegetables. Coat it well with spices. Finally add soaked quinoa and lentil. Mix all well and adjust water consistency like you cook rice 1 cup quinoa and lentil to 2 cups of water. One whistle of pressure cooker and after releasing pressure of cooker remove lid. Preparation time does not contain soaking time. 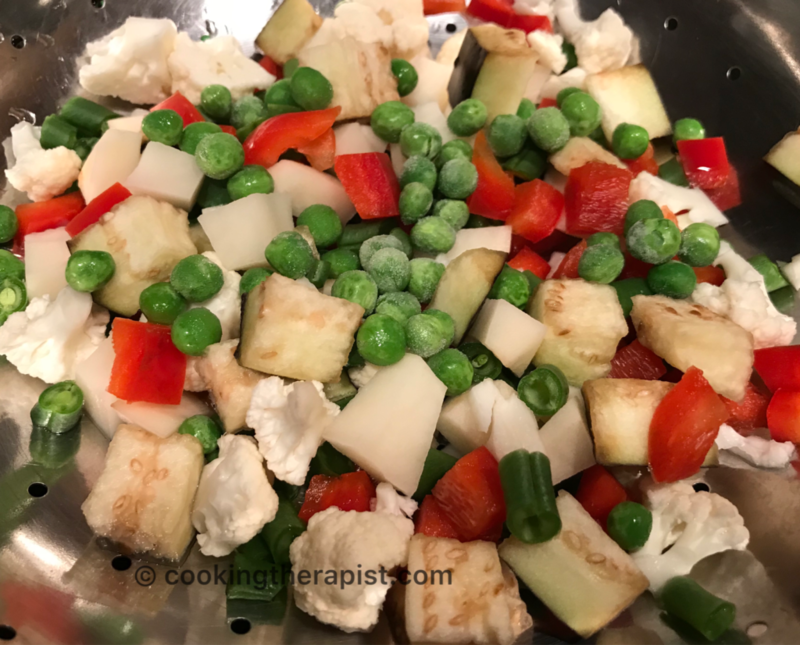 If you are new to the celery's taste then skip using in this dish. Use vegetable and their portion as per your availability and preference. If you are vegan or allergic to dairy then skip yogurt for serving. You can have this bowl just like that. 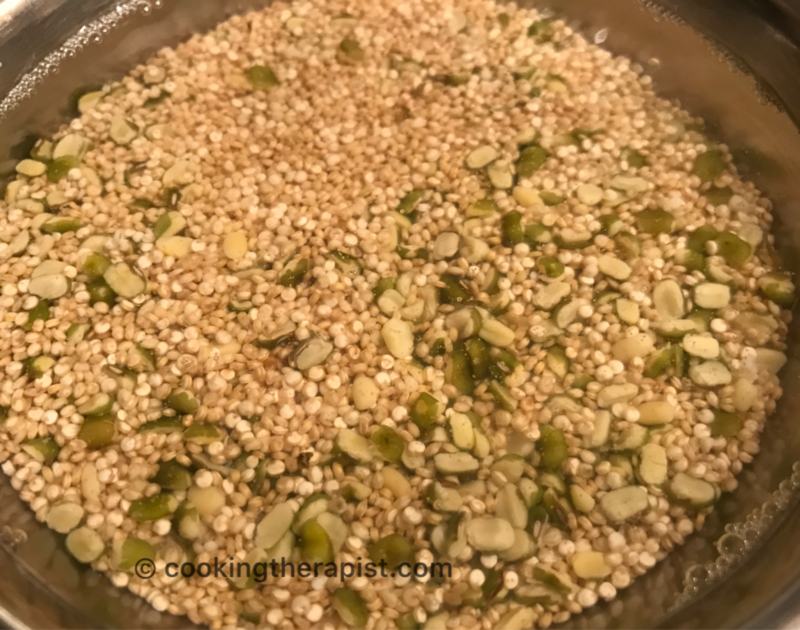 If you are new to the quinoa then try little at a time, it might take bit time to adjust the taste and texture of quinoa. 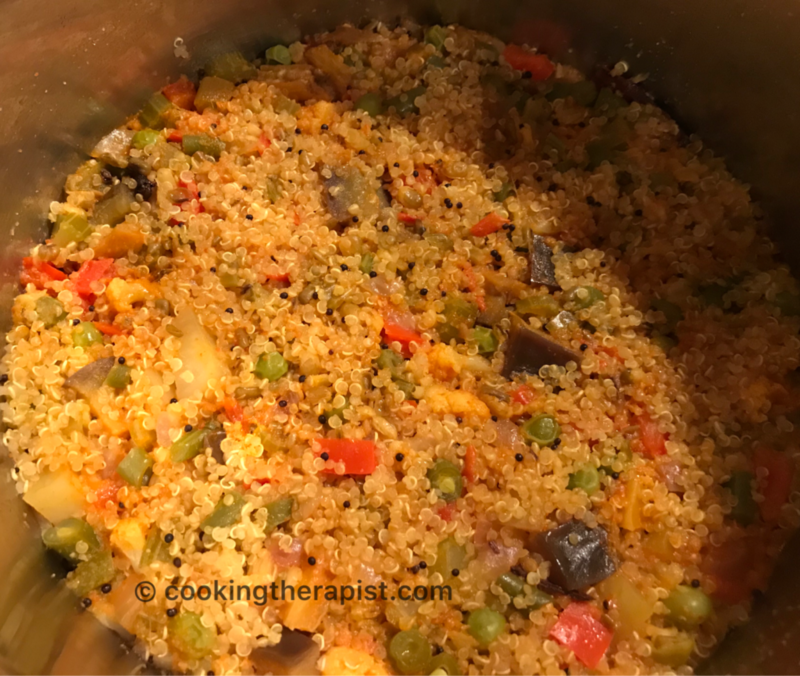 If quinoa is not available in your country then use brown rice or cracked wheat but cooking time will vary so change it according to that. 2. 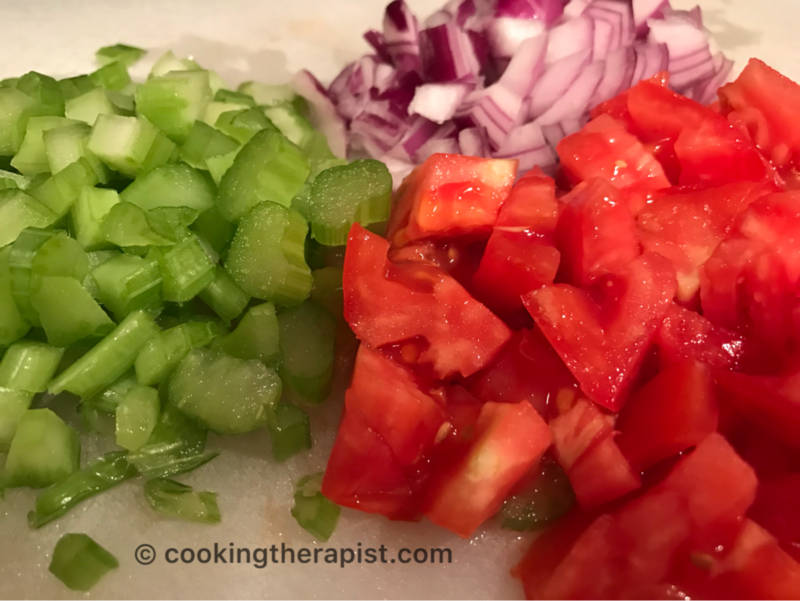 Chop celery, onion and tomato. 3. Chop available vegetables like cauliflower, green beans, eggplant, bell pepper, carrot, potato, green peas etc..
4. Heat oil in a pressure cooker and add mustard seed, whole red chili, clove and cinnamon stick and saute it. 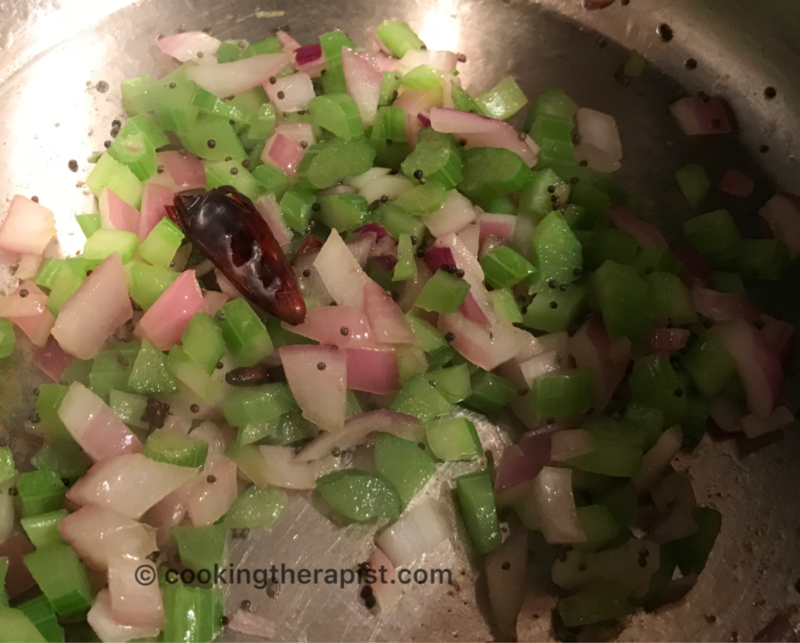 Add chopped celery, onion, salt and saute it for 2-3 mins. 5. Add ginger garlic paste and spices like red chili powder, turmeric and cumin coriander powder. mix it well and saute for a min on low flame. Don’t burn red chili powder or you can add it last. 6. 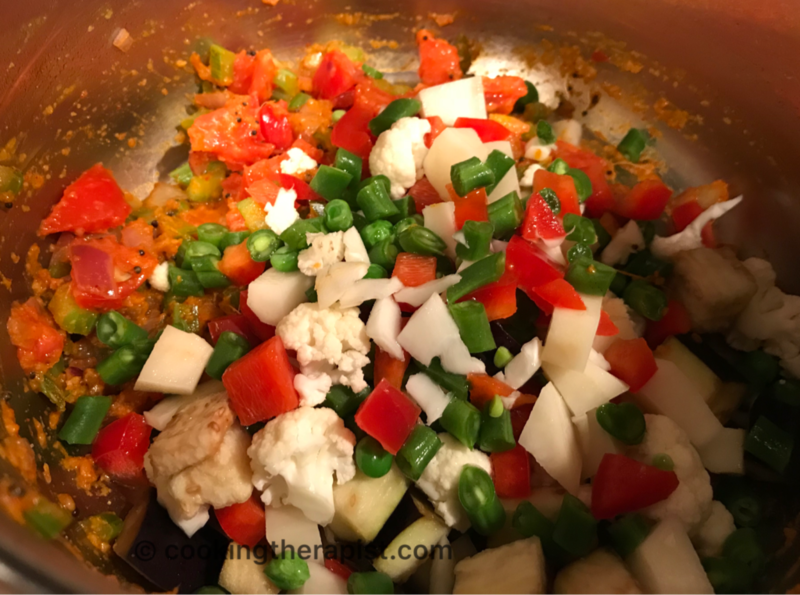 Now it’s time to add chopped tomatoes and other vegetables. Coat it well with spices. 7. Finally add soaked quinoa and lentil. 8. Mix all well and adjust water consistency like you cook rice 1 cup quinoa and lentil to 2 cups of water. 9. One whistle of pressure cooker and after releasing pressure of cooker remove lid. 10 And Ta-Da… easy, healthy, yummy comfort food is ready to relish. Quinoa is a good source of several minerals, including manganese, phosphorus, copper, folate, iron, magnesium and zinc. Quinoa may reduce blood cholesterol, blood sugar levels and triglycerides. It has a smaller impact on blood sugar levels than other gluten-free foods. Quinoa has many qualities that make it a weight loss friendly food. It is high in protein and fiber, and has a relatively low glycemic index value. 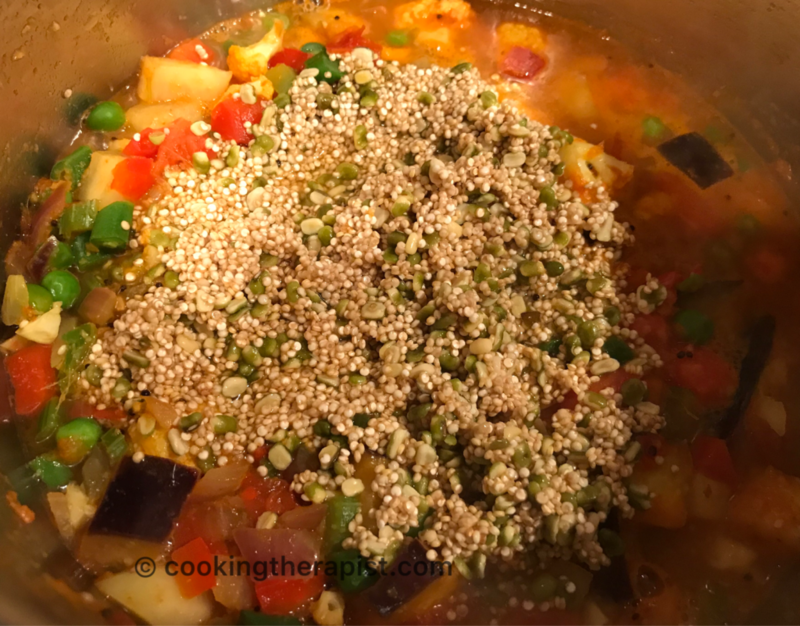 Quinoa is gluten-free, is well accepted as an alternative to wheat, and has been shown to increase the nutrient and antioxidant value of gluten-free diets. This seed is higher in nutrients than most other grains, and is also relatively high in quality protein. Enjoy smart cooking and don’t forget to like us on Facebook for more latest updates. *Disclaimer: Weight loss or maintenance may vary from case to case. It depends on intake, activity level and metabolism and lot more. Eat everything in moderation.